Bob Rockwell is a saxophonist & composer of international ability. 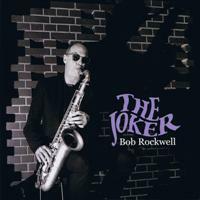 Born in the U.S. in 1945 and a resident of Copenhagen, Denmark, since 1983, Rockwell has demonstrated his immense skills and versatility by his acclaimed contribution to various ensembles & big bands. He is considered one of the most esteemed foreign musicians resident in his now native Denmark. 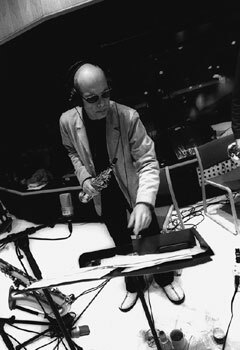 While in the US, Rockwell has performed with the Thad-Jones/Mel Lewis Orchestra, Tito Puente, Ben Sidran, Freddie Hubbard, Ray Drummond, Billy Hart, Rufus Reid, Victor Lewis, Ron McClure, Tom Harrell, Chuck Israels, John Hicks, Al Foster, Anthony Cox, Bill Dobbins, Keith Copeland, Clint Houston, Richie Bierach Etc. Since 1983 Rockwell has lived in Copenhagen. Working in Scandinavia and beyond with artists such as Ernie Wilkins, Kenny Drew, Alex Riel, Marilyn Mazur & Kenny Wheeler. he has forged special relationships with Danish pianist Jan Kasperson & bass player Jesper Lungaard. He has featured significantly in the Danish Radio Jazz Orchestras touring, broadcast and recording schedule. He has made several recordings as a leader and sideman for Marshmallow Records of Japan.